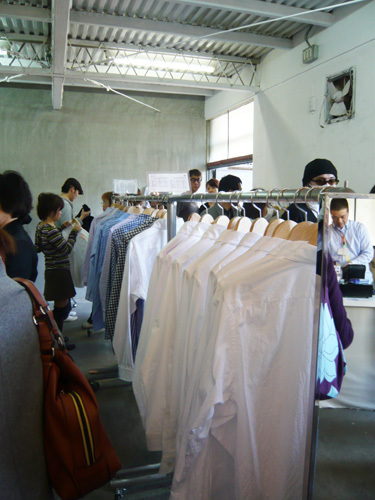 MORIKAGE SHIRTS KYOTO is a shirts maker in Kyoto. 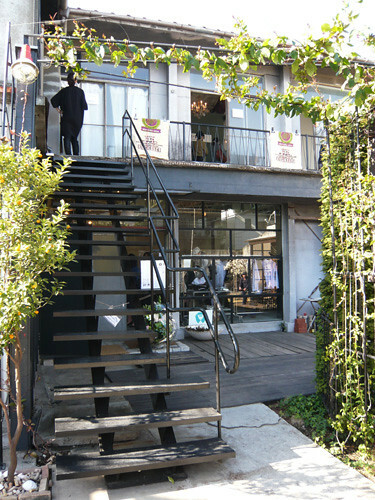 They opened limited shop in Tokyo for 3 days (March.20-22) at photo studio in Denenchofu. 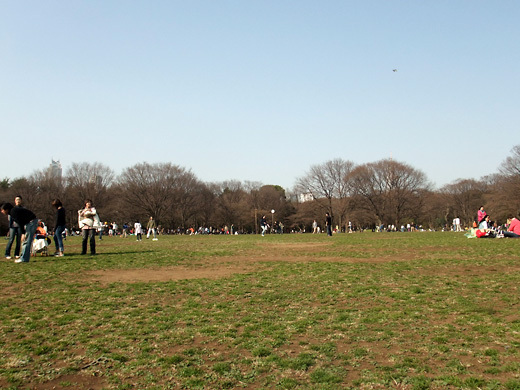 MORIKAGE SHIRTS TOKYO was on 1F and Maeda coffee (their friend) was 2F. 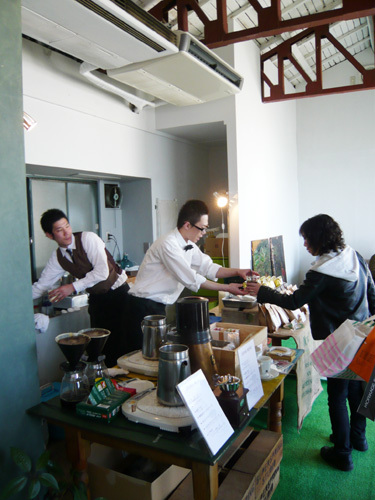 We enjoyed shopping new shirts and drinking tasty coffee. 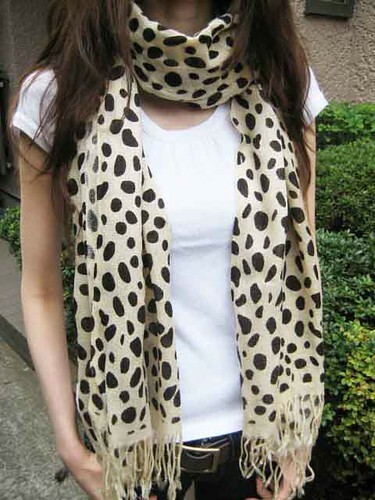 I got a scarf with dalmatian print from FREE’S SHOP which could be a great addition to my wardrobe. 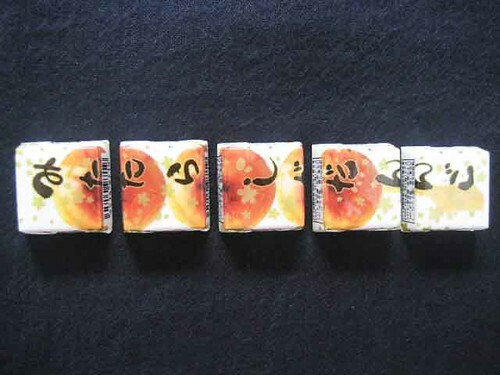 These are Mitarashi Dango (Rice Dumpling with Sweet Soy Sauce ) flavored chocolates from Tirol. 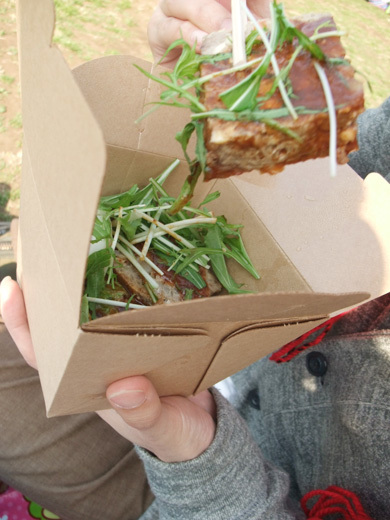 Three to four Mitarashi Dango are usually served on a skewer. 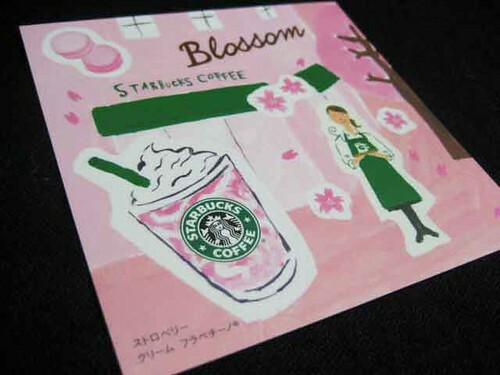 They are not too much sweet, but awesome!! 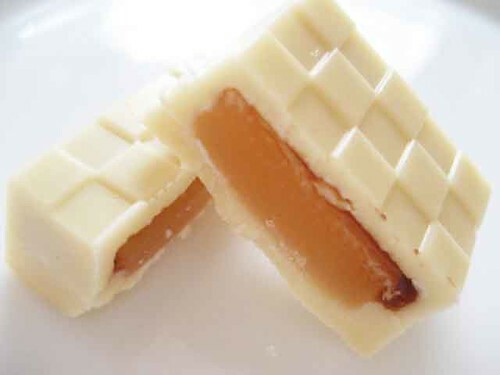 These chocolates are really taste like Mitarashi Dango which is amazing!! 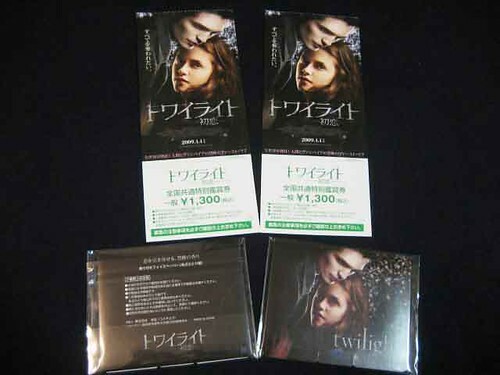 If you buy advance tickets for movies in Japan, the tickets usually have pictures of the movies, and sometimes you can get free gifts with them. 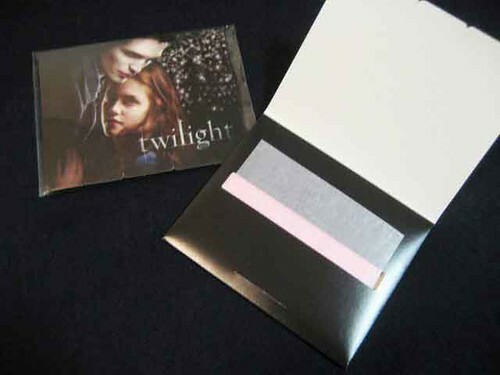 The free gift of advance ticket for Twilight is a perfumed Face Paper packaged with Twilight picture. 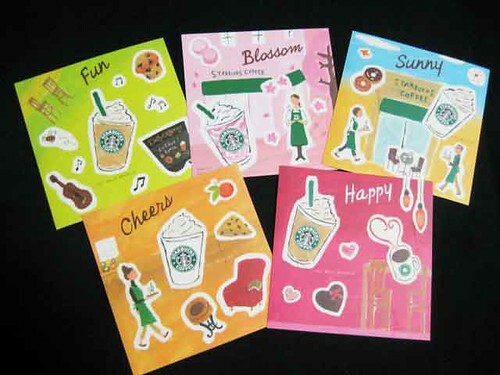 Face Paper is transparent crepe paper thin sheets for blotting off excess oils that accumulate on skin throughout the day,good for anytime makeup touch-ups. 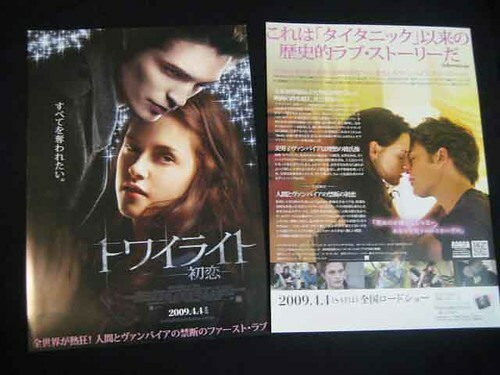 Movie flyers are available at any theaters, and you can get them by free, of course. 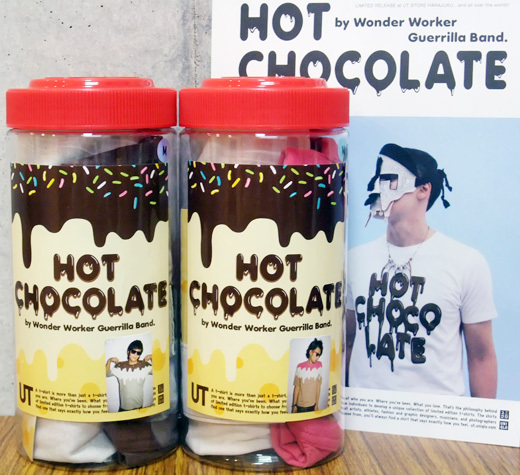 uniqlo UT latest T-shirts or hoodies for guys, “hot chocolate” series. 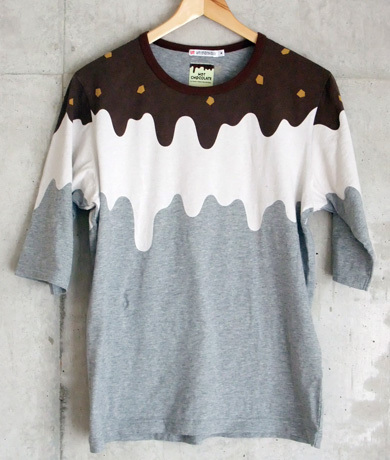 these are sold at UT Harajuku and official website only. 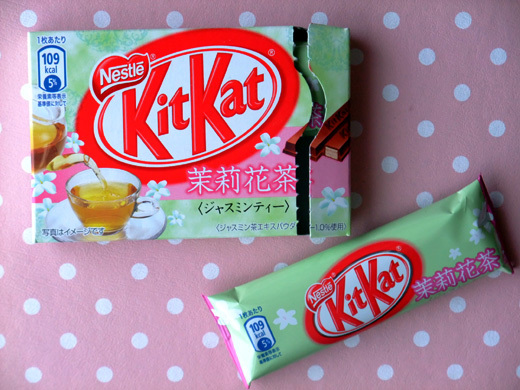 Kit Kat latest flavor, jasmine tea.